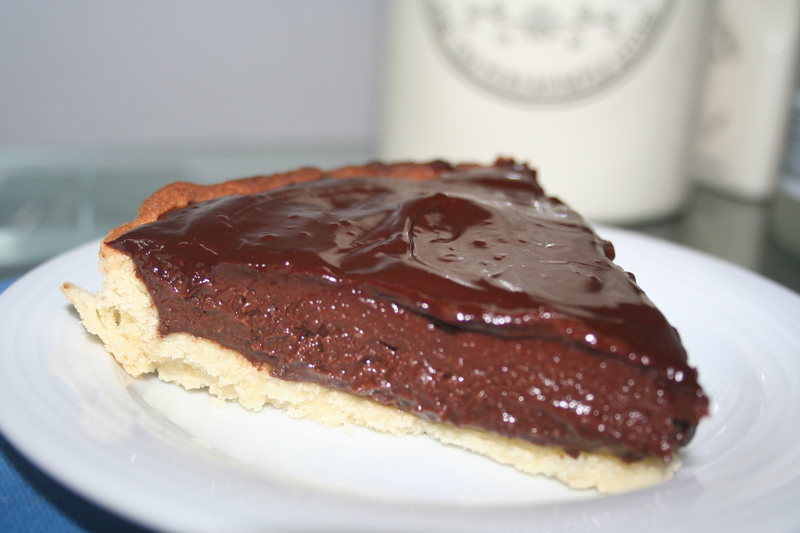 I had been dreaming of making a chocolate tart for a long time. I used to go to bed every night thinking I will make it tomorrow. But sadly, tomorrow never came. Until yesterday when I saw a spectacular recipe online by Raiza Costa. She is cute adorable and Gordon Ramsay appreciated her dessert when she came to audition for Masterchef USA. 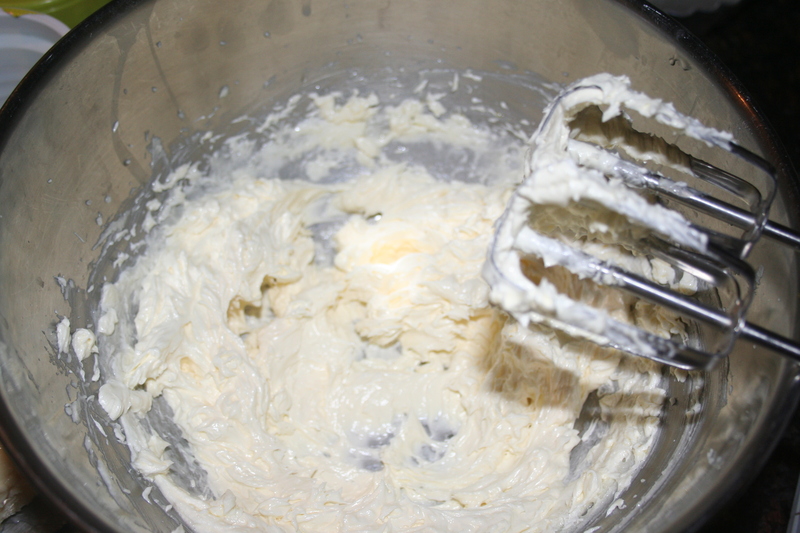 For crust: In a mixer fitted with the paddle attachment add sugar and butter, mix until pale yellow then add the egg. After fully incorporated turn off the mixer and add flour, ground almonds and baking soda. Stir by hand, wrap in plastic wrap and refrigerate for at least 1hr. In a floured surface open the dough with the rolling pin, if it’s too hard give it a couple of knocks first with the rolling pin to smooth it out a little bit. Lay it over the tupperware silicone mould, remove the excess dough and dock the base. Refrigerate for an extra 15min (the drastic temperature change makes the crust flakier). Lay a sheet a parchment paper over the pan and add the weights (could be beans, rice or ceramic cooking weights). Blind bake it (no filling) at 350F until the edges gain a little color, remove the parchment paper and keep it in the oven for an extra 30 min or until it all light looks golden brown. Make the filling: In a pan heat the heavy cream with the vanilla seeds and bean, as soon as it comes to a boil turn off the heat and put the lid on, let it steep for 10min. Meanwhile whisk the egg yolks with the sugar until pale yellow (blanchir). Bring the cream back to a boil and as soon as it starts boiling again pour some of the hot heavy cream over the yolk and sugar mixture to temper it then pour it all back to the pan and cook at medium/low heat until thickened (aprox. 3 min) remove the vanilla bean and be careful not to cook the eggs, turn off the heat as soon as it is slightly thick and coats the back of a wooden spoon (nappant). 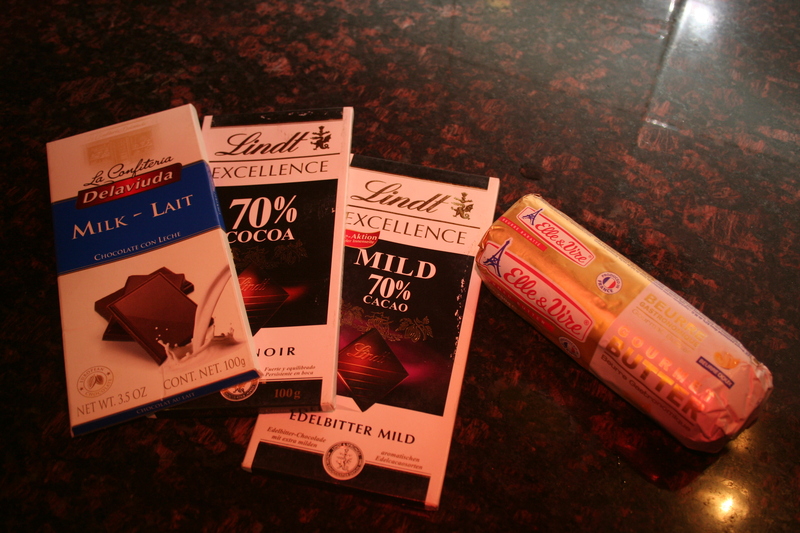 Pour this hot mixture over the chocolate, add the butter and let it sit for 2 min to melt, stir until completely smooth and let it cool at room temperature. The shiny glaze on top is optional, you can just sprinkle cocoa powder but I highly recommend. 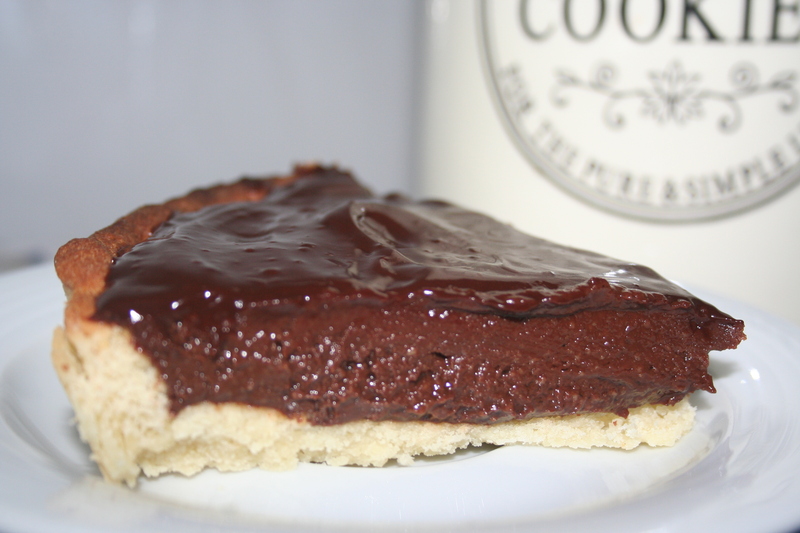 To make the chocolate glaze add the heavy cream with the chocolate and microwave it for 30sec. Stir until smooth, add the honey and water. Pour over the pie and tilt it to spread evenly. If you add the glaze and refrigerate it again it loses its shininess so add the glaze only before serving. Or decorate it with strawberries, who doesn’t love strawberries with chocolate?